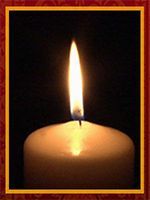 You are here: Home / Obituaries / Cecil Rolin Busler, Jr.
Cecil (Bud) Busler, Jr., 87, of Willow Valley Manor North, Lancaster, PA, went to be with the Lord on Saturday, April 23, 2011. Born in Williamsport, PA, he was the son of the late Cecil R., Sr. and Hannah Davis Busler. He was the husband of Dorothy Jane (Aderhold) Busler. In addition to his wife, he is survived by two sons, Terrance and Timothy Busler, and eight grandchildren, Shaun Busler, Brad Busler, Cheyenne Busler, Rebecca Busler, Christine Busler, John Leed III, Alex Leed, and Logan Leed. He was predeceased by a daughter, Cynthia Sue Busler. Relatives and friends are respectfully invited to attend a Memorial Service in the Johnson Auditorium of Willow Valley Manor North, 600 Willow Valley Square, Lancaster, PA on Thursday, April 28, 2011 at 11:00 A.M. In lieu of flowers, contributions in Bud’s memory be made to Hospice of Lancaster County, 685 Good Dr., P.O Box 4125, Lancaster, PA 17604-4125, or American Cancer Society, 314 Good Dr., Lancaster, PA 17603. Private interment will be held at the convenience of the family. Offer Condolence for the family of Cecil Rolin Busler, Jr.